Fortress Of Freedom Board :: View topic - Word On The Street, 2009! Word On The Street, 2009! Posted: Sun Sep 27, 2009 7:28 pm Post subject: Word On The Street, 2009! 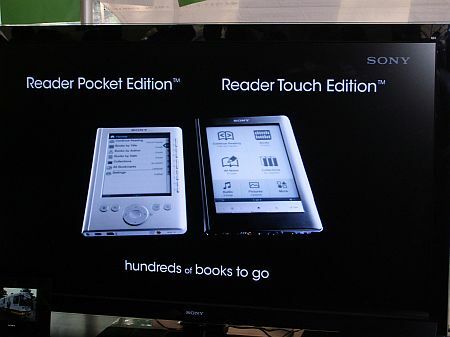 Toronto, Canada - Today (Sunday, September 27 - 2009) was the annual Word On The Street literary fair. Here writers of all kinds get together to showcase their literary talents and meet with other writers and the general public. 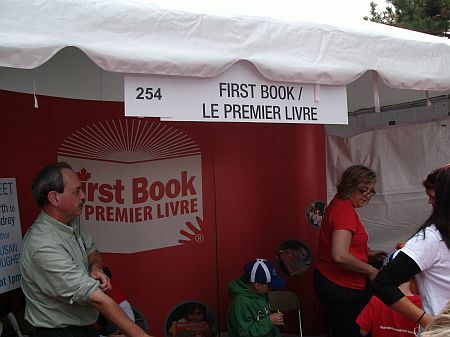 An estimated 220,000 spectators toured the venue and it's estimated 270 organizations promoting the written word. 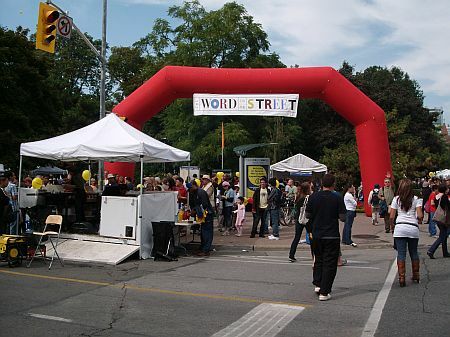 The Word On The Street literary fair is held in many locations around the world and Toronto is just one of the many venues. The fair along University Ave. inToronto. I arrived at about two in the afternoon to report on this event and was lost in the expanse of the fair. You really need a map to work your way around and such a map was available at the information booths scattered throughout the lands at Queen's Park where Ontario's provincial legislature takes place. Many large corporate sponsors were located on the major streets that surround the park with the smaller organizations inside the park itself. I saw a varied mixture of participants promoting all sort of literary wares and services. Another venue for the kids. 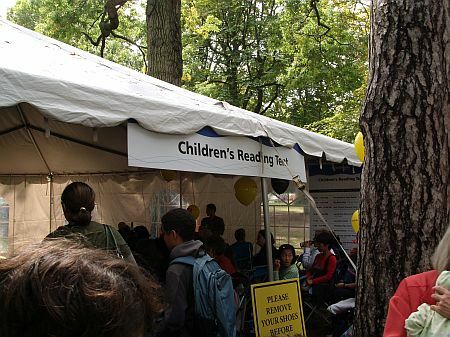 As a mother of two I was very interested in the many tents devoted to promoting literacy with children. 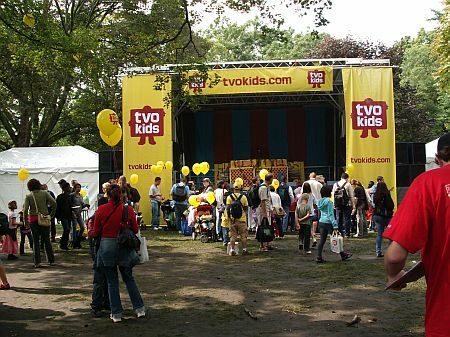 Most prominent was public television station TVO which had several tents and a music stage to entertain and educate the kids about the wonders of books. The Word On The Street literary fair promotes the literary community at the grass roots level. As a member of IAIJ I can say without hesitation that our organization endorses these types of initiatives as they in turn promote freedom of speech and expression especially to our children and young adults. From files of Ainsley Wronski.